A belated happy new to all readers! 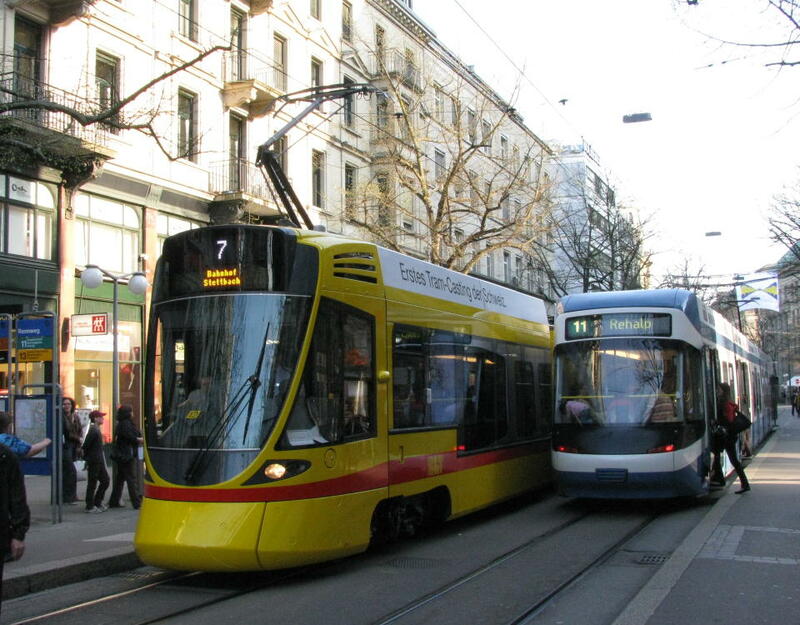 All 2009 news items (92 in total) have been moved to: www.proaktiva.ch/tram/zurich/newslog/2009.html#latest. One of the highlights of 2009 was the visit of Basel (BLT) Tango tram 154 in April. This was the last of the four Basel prototypes and actually visited Zürich before coming to Basel! The event was well reported in the local press and led to many positive comments. The tram's positive performance does not however preempt any decison, as the final order will be subject to a tendering process which will be started this year. Even so, this combined with various negative reports on noise, vibrations and wear and tear on Cobras, could be interpreted as subtle pressure on Alstom and Bombardier to resolve those issues. Meanwhile, Cobra deliveries are continuing. Units delivered in 2009 are from (circa) 3067 to 3079 plus 3001 to 3005. 3074 was the last unit of the initial order and delivery of this was followed by nos. 3001-5 as replacements/rebuilds of the prototypes with the same numbers. Delivery then began of the option, starting with number 3075. Numbering will ultimately reach 3088. With the exception of 3001-5, all Cobras delivered in 2009 are in VBG livery (white with a blue waist band) for use on route 10 and the future route 12 (to be opened in December 2010). 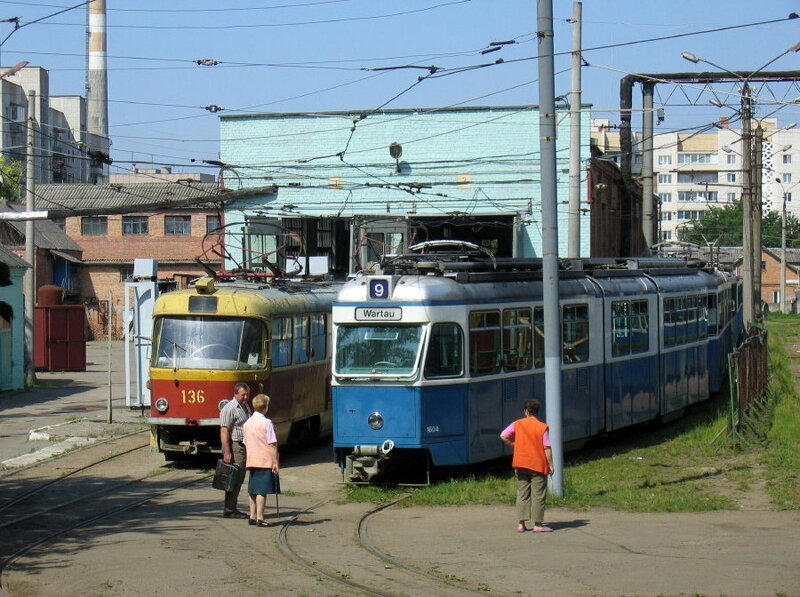 Trams in this livery have, however, already interloped onto other routes. Ongoing Cobra deliveries have led to a rapid shrinking of the Mirage fleet (I intend to post an up to date list of remaining units at a later date). Some withdrawn units have found a new home in Vinnitsa (Ukraine). However, even with all Cobra deliveries complete, there will be insufficient units available to make all Mirages redundant (VBZ having let its option for further Cobras lapse) and it seems that about 15 Mirages may live to see further years of service in Zürich. For this purpose selected units have been fitted with new IBIS equipment (for tracking and signalling). 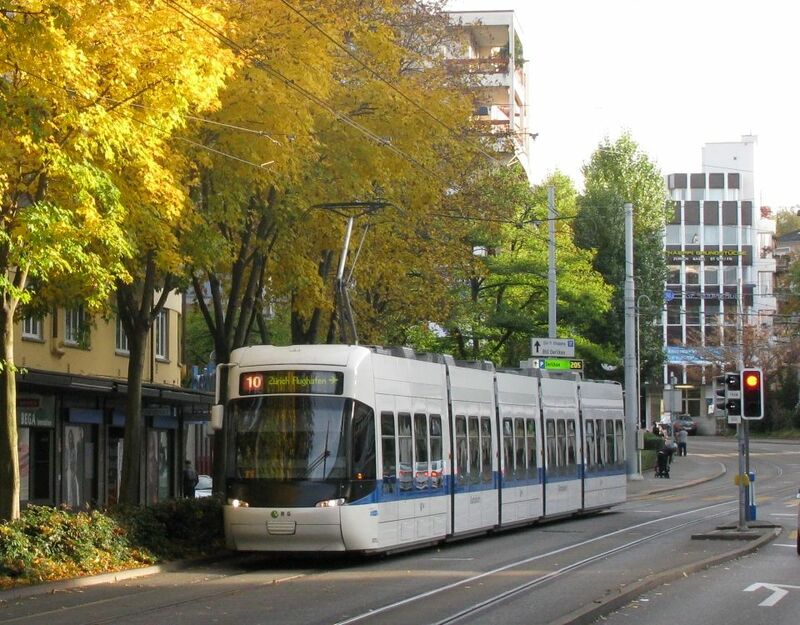 For all other Mirage trams, 2010 will doubtlessly be their final year in service in Zürich. 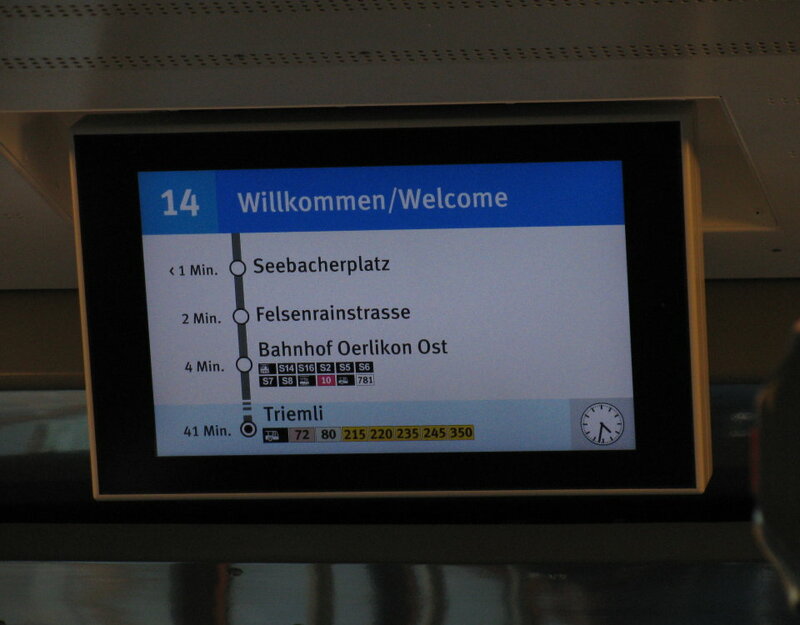 Another marked change during 2009 has been the installation of passenger information displays, both at stops and on vehicles. Those on the vehicles do not only assure that information displayed is up-to-date at all times (including informing of late running etc of connecting services) but replaces the line-specific fixed displays so permitting the vehicles to be depoyed more flexibly on different routes. 2009 has also seen work progress on the Tram Zürich West line. The street running railway goods siding at Hardbrücke had to be diverted for this purpose. The new tram line will open in 2011. The third phase of Glattalbahn is also approaching completion, for an opening at the end of 2010. Looking further into the future, planning on Limmattalbahn, the light rail link from Altstetten via Schlieren and Dietikon to Killwangen, is making good progress. 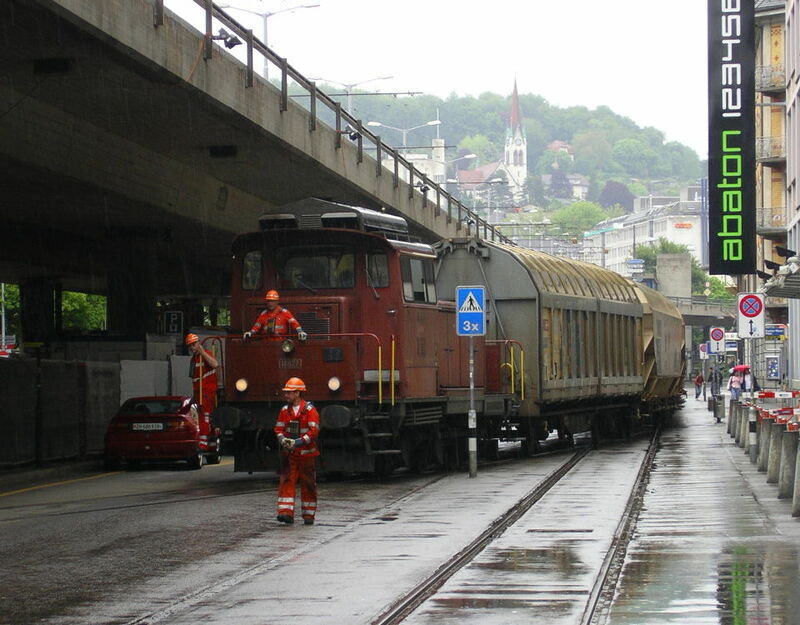 2009 also saw a major track layout remodelling and replacement exercise in the Stadelhofen area.